The New York Times won’t publish the Danish Mohammed cartoons, the Charlie Hebdo cartoons, or the Pamela Geller cartoons, but it will publish a depiction of the Pope created from condoms. The Washington Examiner collects their incoherent justifications here. Now, I’m not going to bother explaining why this is all nonsense, as I know I’m a couple days late on that front, and it’s not like it requires explanation anyway. What I want to do instead is point to this disturbing Jonah Goldberg column on the danger that identity politics poses to national unity. As he puts it: “I don’t like the practice of insulting Muslims — or anybody — just to prove a point. But what I like even less is the suggestion that Muslim fanatics have the assassin’s veto over what we can say or do. So I am forced to choose sides, and when forced, I will stand with the insulters over the beheaders.” And to that, I’d add myself, I have no interest whatsoever in joining a white-power gang, but if for some reason I find myself in prison, guess what? My strong belief in equality regardless of skin color is going to take a back seat to getting in good with whoever can protect me. So as for the cause of unity? Our “elites” won’t join me. They won’t take a principled stand. They are only concerned with politics–sticking it to “uptight” right-wingers, and catering to “oppressed” minorities. (We will pretend for the moment that radical Muslim social mores somehow don’t make a Baptist bible study look like a hive of sin and iniquity.) At least, that’s the charitable version–the uncharitable one is that they’re straight-up cowards. So as Goldberg says, the center is being hollowed out. 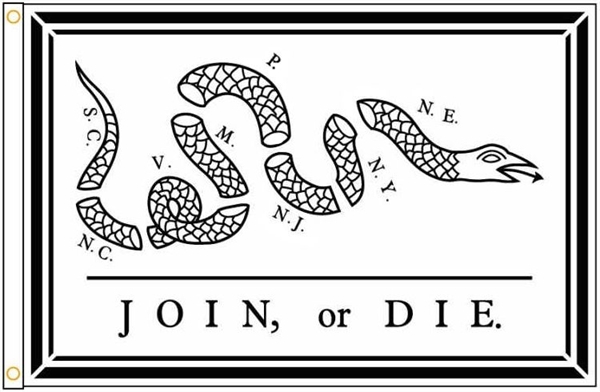 The goal of unity in the name of liberty is impossible, and all we can do is join the faction closest to our interests and slug it out with the other factions–and hope we don’t hang separately. Thanks a lot, NYT.